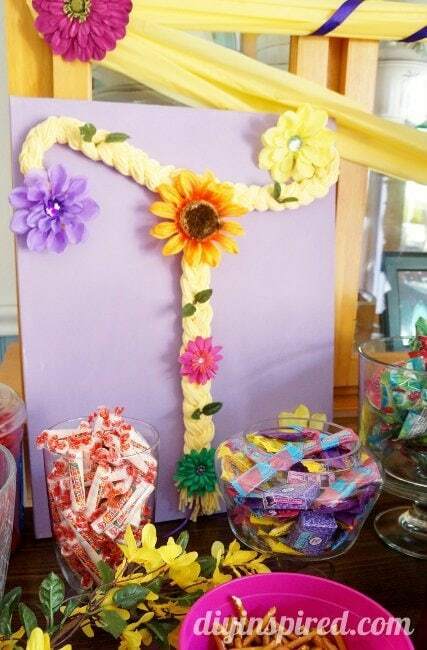 I have been a busy girl helping one of my best friends with her daughter’s 4th birthday party. I had the honor of attending the party last weekend and we had so much fun! 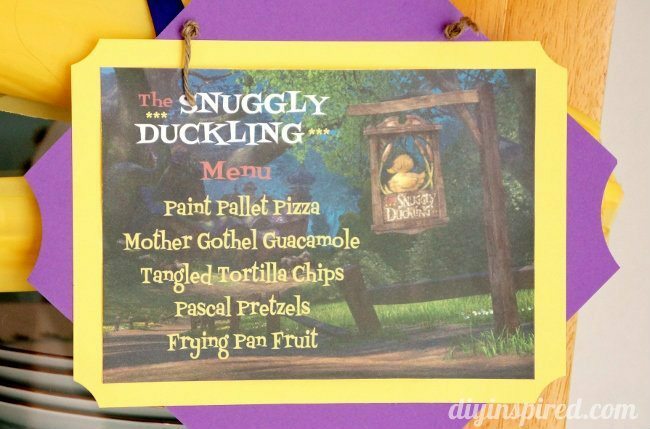 I wanted to share some photos and put together an ultimate guide of Rapunzel birthday party ideas. 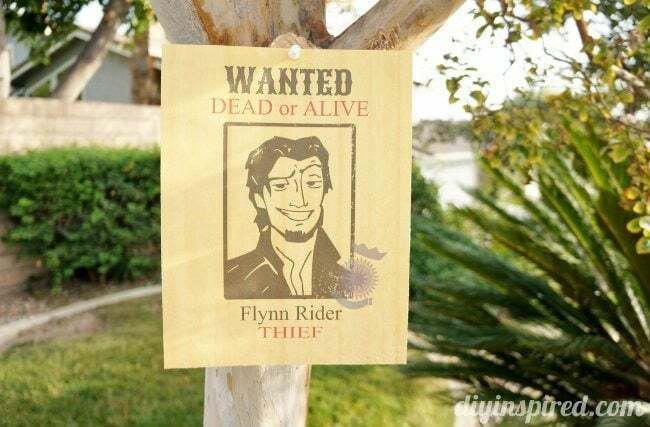 Of course we have to start with the invitations! I made these per the request of the birthday girl. 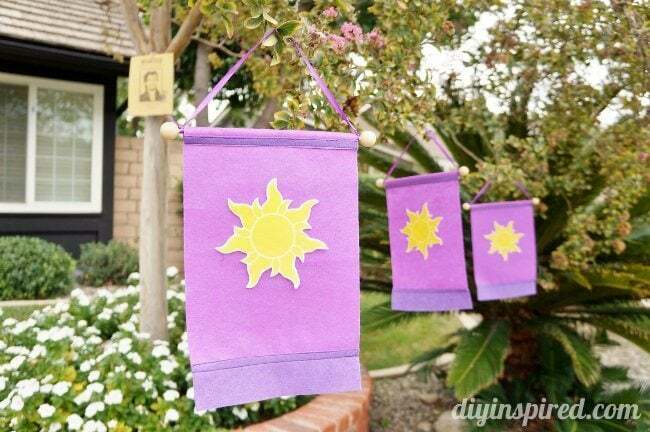 Here is my step by step tutorial for handmade Rapunzel invitations along with helpful measurements. 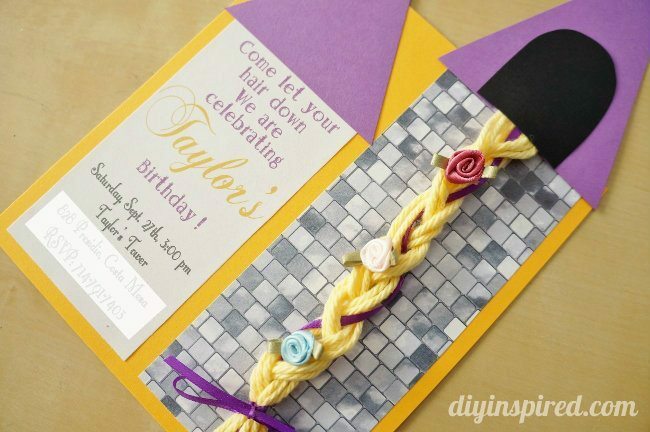 I made a “T” for Taylor or Tangled out of yarn to look like a Rapunzel Hair Monogram. 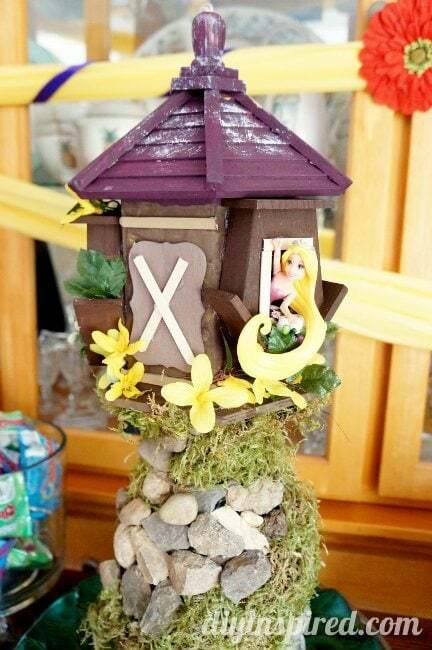 My best friend, Jenny from Simply Creative Ways made this amazing repurposed Rapunzel Tower out of two bird houses and an orange juice container! 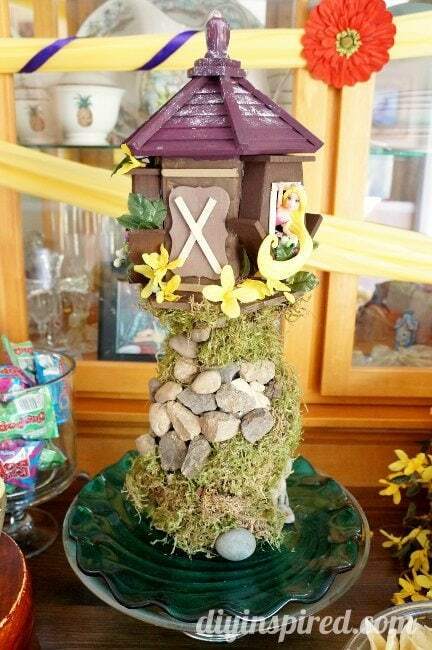 Isn’t it beautiful??? 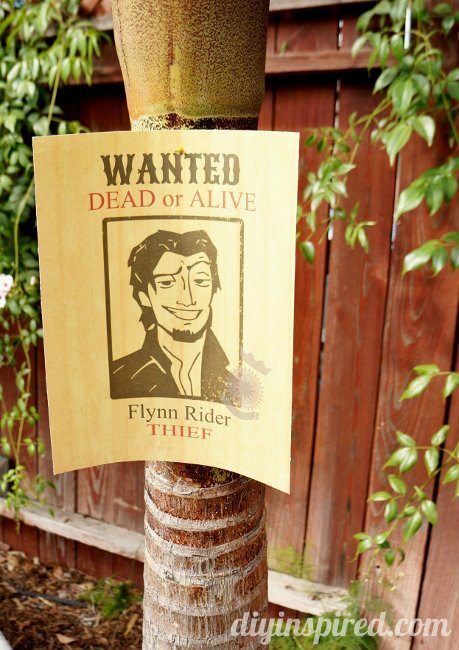 I also made some Flynn Rider Wanted Posters that you can download and print for free. 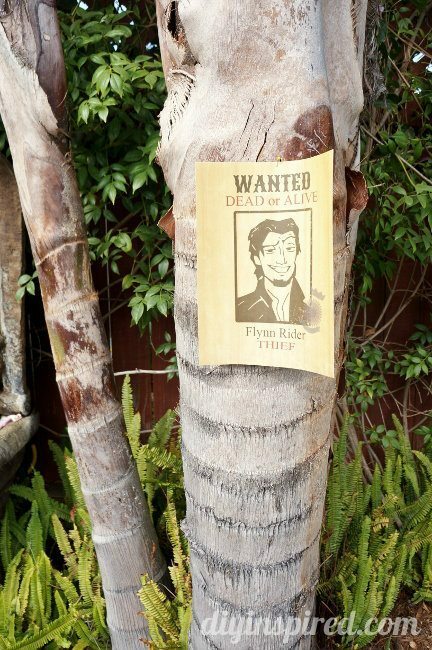 We hung them on several trees. 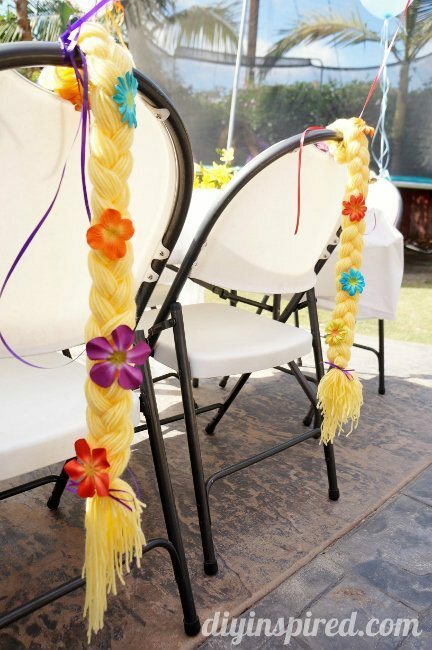 For the food table, I cut up a plastic table cloth from the 99 cent store in three pieces, and zigged-zagged it to look like Rapunzel’s hair. 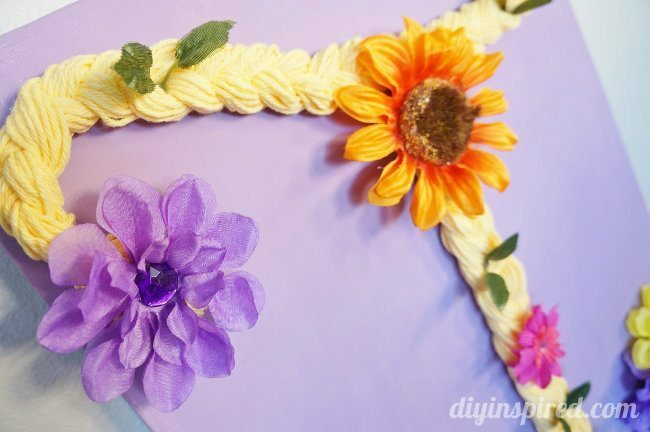 I also put purple ribbon and flowers in it. 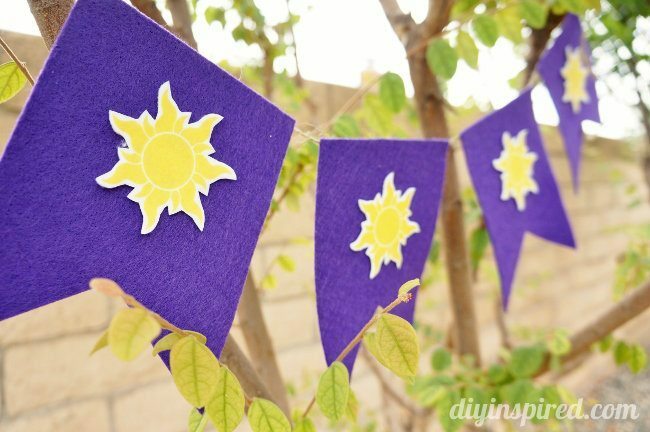 I made these purple felt sun banners as well. 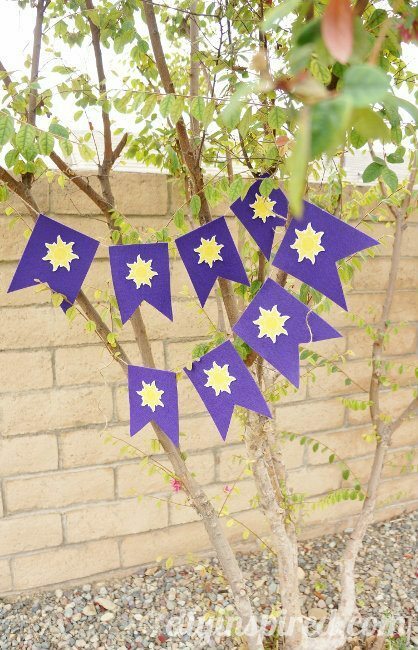 You can download a free sun printable as well. We even put the Frying Pan Fruit in iron clad frying pans! 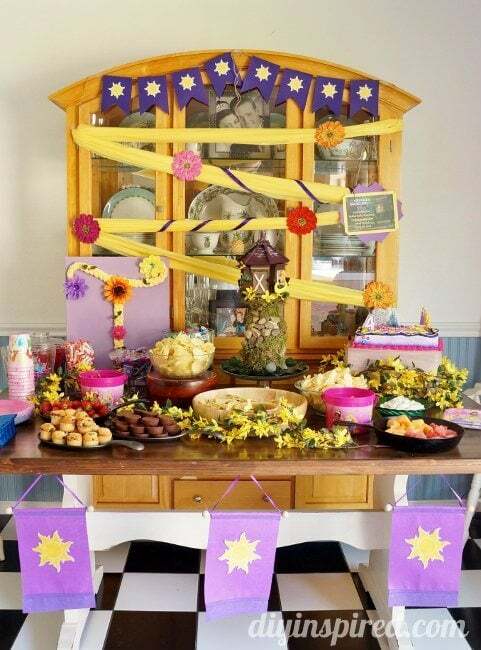 This was the food table that was filled with goodies! 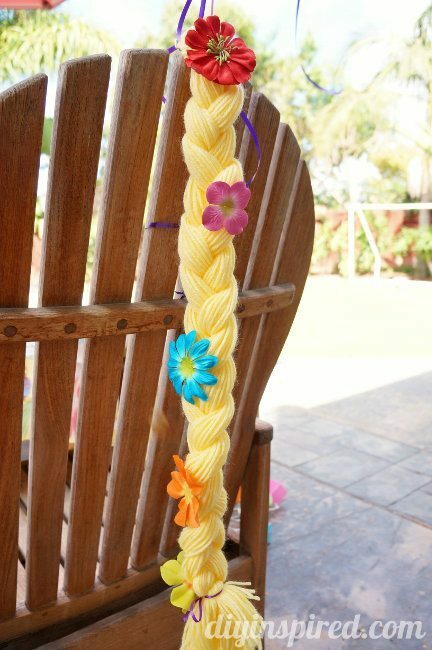 I made each girl a Rapunzel Braid party favor. They ended up putting them on right away and wearing them throughout the party, It was adorable. 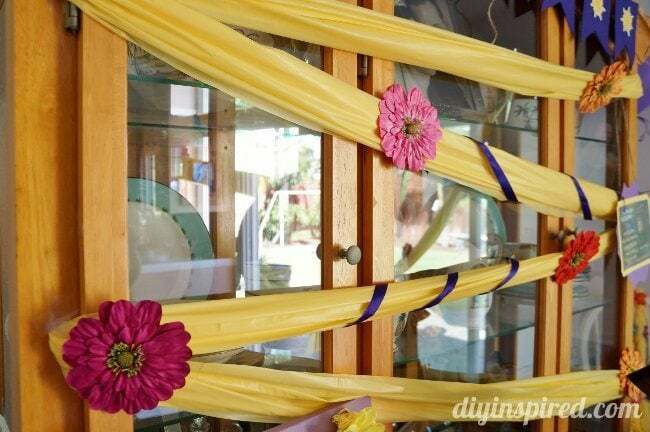 At the beginning of the party we used them as part of the decorations. 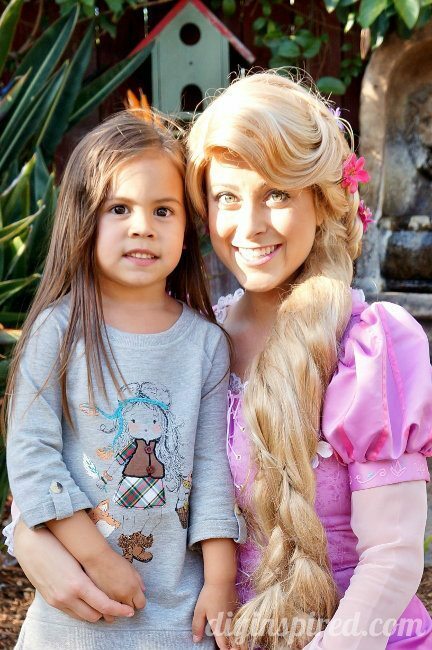 What Tangled party would be complete without Rapunzel herself!! If I didn’t know any better I would have thought it was really her. She was amazing and in character the entire time. She played “Hide Pascal” with the girls, put makeup on all of them, opened presents with the birthday girl, and stayed to sing Happy Birthday. It was a fabulous party! 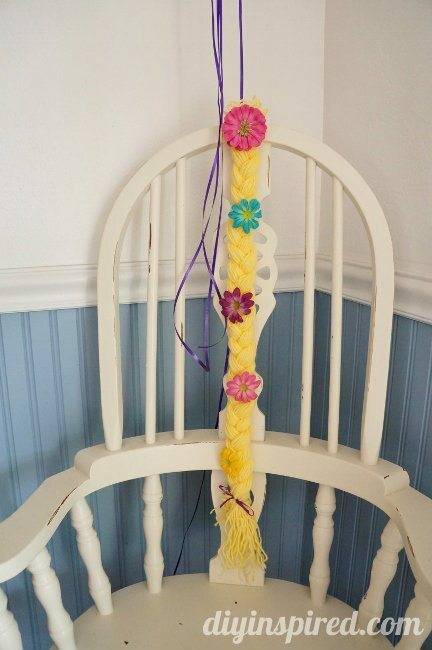 I’ve been watching your Rapunzel idea posts for a little while now. 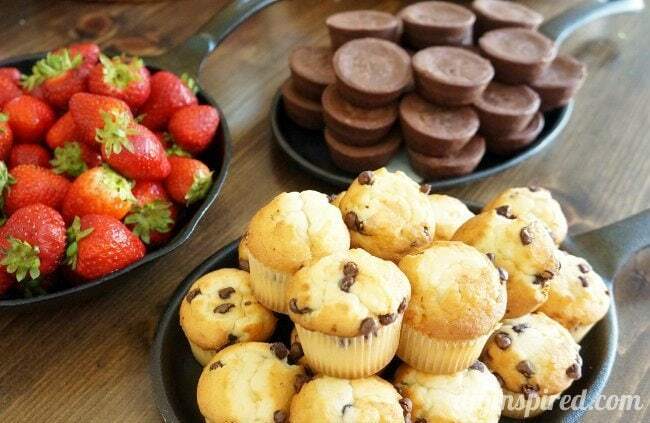 Looks like they all came together to make a lovely party!